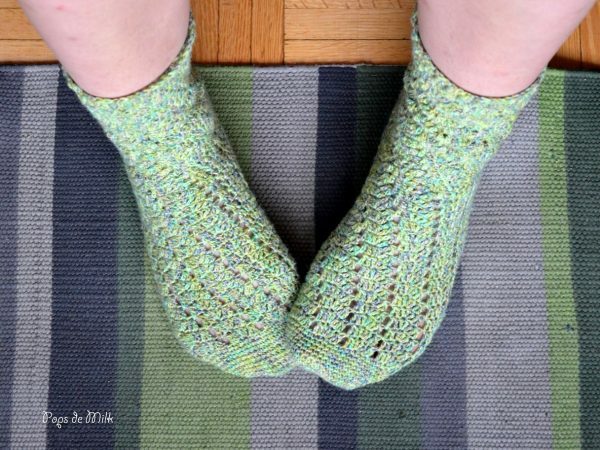 The first time I attempted to crochet socks I got lost, first in the toe and then the heel. 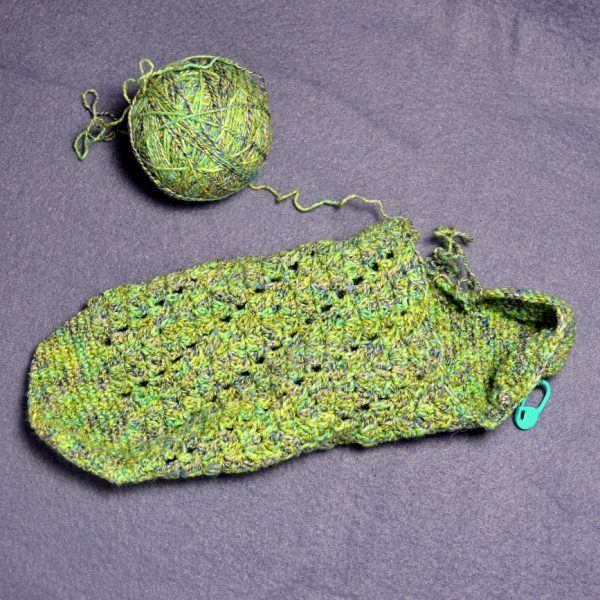 The pattern was a basic single crochet stitch all the way through and yet the first sock turned out so loose and baggy around the ankle and it just looked and felt like something I would never wear. I didn’t even attempt the second sock and put both the first sock and the rest of the yarn away. My first attempt at crocheting socks. Then, this February, Jennifer at Squirrel Picnic posted photos of her crochet socks (she’s doing a year of crochet socks). I felt so inspired to try crochet socks again and quickly did a search for another pattern. 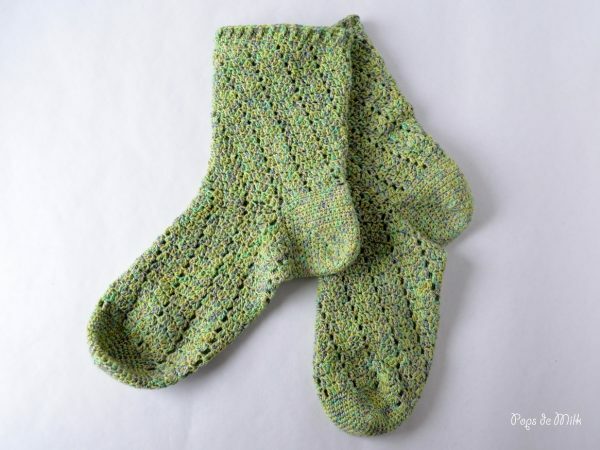 I reused the yarn from the previous pair and got started on the socks. The pattern I used was a bit clearer (or maybe my crochet skills have improved since that first time) though I still had to re-do a few rounds before I understood what was going on. Once I understood the pattern it was super easy sailing and might I say, addictive! When it came to the heel I again found myself feeling lost and a little frustrated. Would this sock suffer the same fate as its predecessor? Nooope! I was determined and I pushed through, not caring if I was doing it correctly or not. When I finished the first sock I felt so triumphant and happy that it actually fit, though a bit loose. While working on the second sock heel I realized where I had gone wrong in the first and being the (occasional) perfectionist I unraveled the first sock (just to the heel!) and did it correctly. I am now the happy owner of a pair of crochet socks! The free pattern can be found here on Yarnspirations. Fantastic! I’d love to crochet a pair of socks. What kind of yarn did you use? Is it sock yarn? Thanks, Wendy! I believe it was a sock yarn – I seem to have lost the label but it was Mary Maxim yarn. Well done! I’ve attempted socks, trying the same pattern I think about 3 times now! It goes from the cuff to the toe and I usually get lost/forget to count rows just when I’m about to do the toe.